The new plan of Google’s office buildings include 4 constructions, which belong to the tent structure and are covered with transparent glass. It looks like a huge Arcum tent, and makes people feel that we can bring the outside world into it. Google’s buildings will be composed of the light modules, and it can be moved in or out the tent by robots according to the needs. Google said: “This idea is very simple. We are not going to build the irremovable concrete construction buildings, but instead of building a light-weight structure which is similar to the blocks. When we develop a new product, it is very easy for us to arrange it again, for instance, the office of the self-driving car team and that of the search engine team are absolutely different. At the present, Google has become the synonym of innovation, and Zhuhai Liri Tent Technology Co., ltd., is a leading Chinese tent company. We are also innovative, and own the world’s top production technology and innovative and professional engineering team Liri Tent, with grasping the core technology in the tent industry. 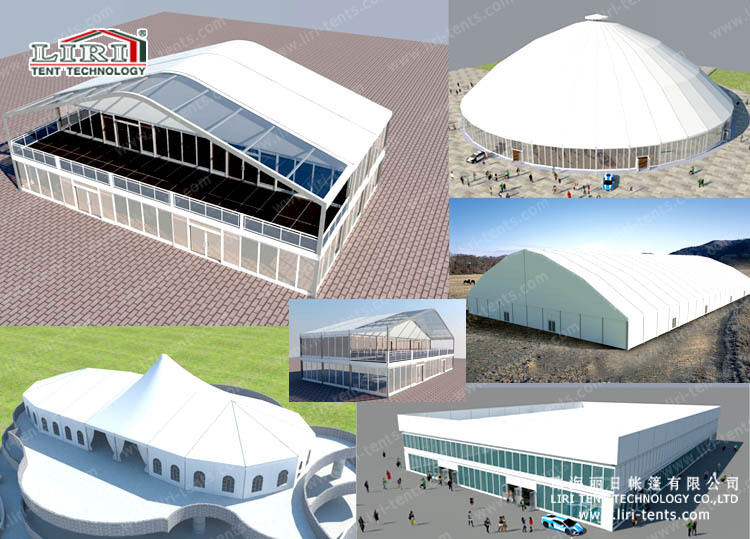 has acquired more 10 national invention patents, and developed the Cub structure tent, half sphere tent, double decker tent, double high peaks tent and more.